"The holiest event of our time. Perfect for their return." An unique and complex film adaptation the same titled novel by author Dan Brown. It is directed by Ron Howard, so the movie is true to his personal style for music, cinematography, and historical details. These are things that Howard is well known for as a director. It also brings collaborator with Ron Howard back to the silver screen, actor Tom Hanks. The storyline follows two main characters, Robert Langdon and Vittoria Vetra. Who are played by Tom Hanks and Ayelet Zurer respectively. Langdon is a professor of symbology and ancient cultures for Harvard University. Vetra is a european scientist working on on experimental physics and antimatter science for CERN. Both are unwittingly called in as advisory consultants for the Vatican, they soon discover they are embarking into dangerous adventure filled with mystery and worldwide intrigue. Just after the sudden death of the current Pope, it becomes clear that poetntial members of the elect are in mortal danger. Langdon and Vetra discover evidence that links an ancient order called the Illuminati to the disappearance of antimatter materials from the CERN laboratories. The four church leaders, who are potential replacements for the position of Pope find their lives in danger, but also Vatican City is faced with a hidden terroist threat of an antimatter bomb. The weapon has been placed somewhere within the walls of the city itself. All this is linked the secret society called the Illuminati. 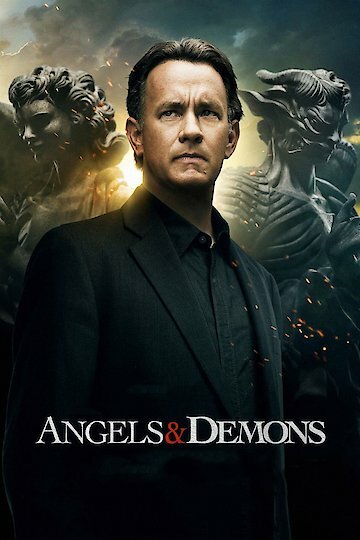 The clock is running as Robert Langdon and Vittoria Vetra race through holy cathedrals, lost crypts, dark catacombs, and places that even the Roman Church may not be able to protect them. Yet if everything happening is true, the Illuminati have sworn to destroy their ancient enemy, the Roman Catholic Church. Angels and Demons is currently available to watch free on The Roku Channel and stream, download, buy on demand at Amazon Prime, Amazon, Vudu, Google Play, iTunes, YouTube VOD online.